An Institut Pasteur-CNRS research team has characterized a Staphylococcus aureus gene involved in virulence, biofilm formation and resistance to certain antibiotics. These results open up new avenues for understanding the control of S. aureus virulence mechanisms. This work was recently published in the journal PLoS Pathogens. Staphylococcus aureus is part of the natural skin flora, preferentially colonizing external mucosa in 30 to 50% of the population, healthy carriers who develop no symptoms. But it is also a major human pathogen, causing diseases ranging from skin lesions (boils, impetigo, etc.) to endocarditis, acute pneumonia, osteomyelitis or sepsis. It is the leading Gram-positive bacterium responsible for nosocomial infections (hospital acquired infections). The most dangerous strains are those that display resistance to multiple antibiotics. This is the case of MRSA, resistant to Meticillin, widespread in hospitals and posing a major public health concern. 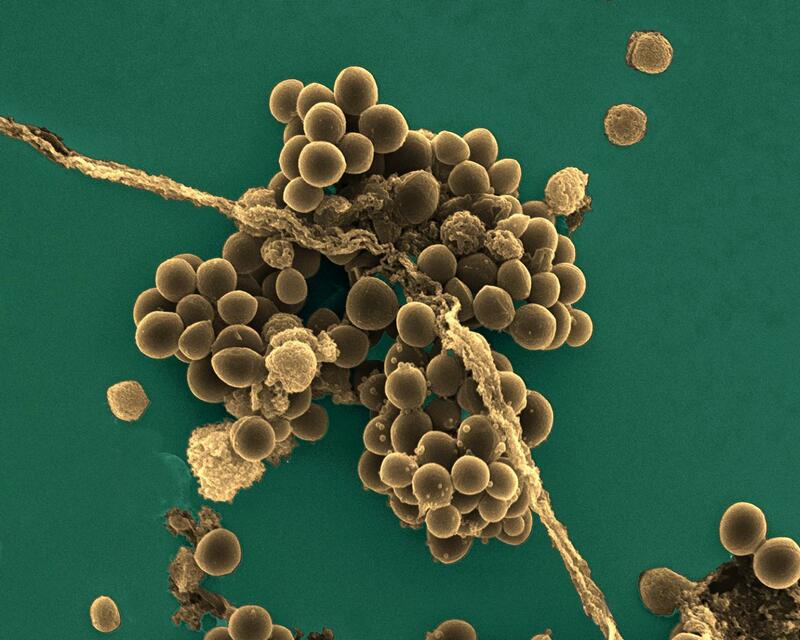 The Signaling and Pathogenesis of Staphylococci team, led by Tarek Msadek, a researcher in the Biology of Gram-positive Pathogens Unit at the Institut Pasteur (CNRS ERL 3526), is studying bacterial responses to environmental variations and their role in Staphylococcus aureus pathogenesis and host interactions. These responses are often genetically controlled by so-called "two-component" systems. During the study of one of these systems, WalKR, essential for bacterial survival, they characterized an additional component, SpdC, a membrane protein whose role was unknown. This component interacts with the WalKR system to control its activity and its absence leads to a strong decrease in virulence, biofilm formation (bacterial aggregates), and resistance to certain antibiotics. These results suggest that inhibition of SpdC could be used as an approach to combat S. aureus infections and understand the mechanisms involved in its transition from commensal to pathogen.